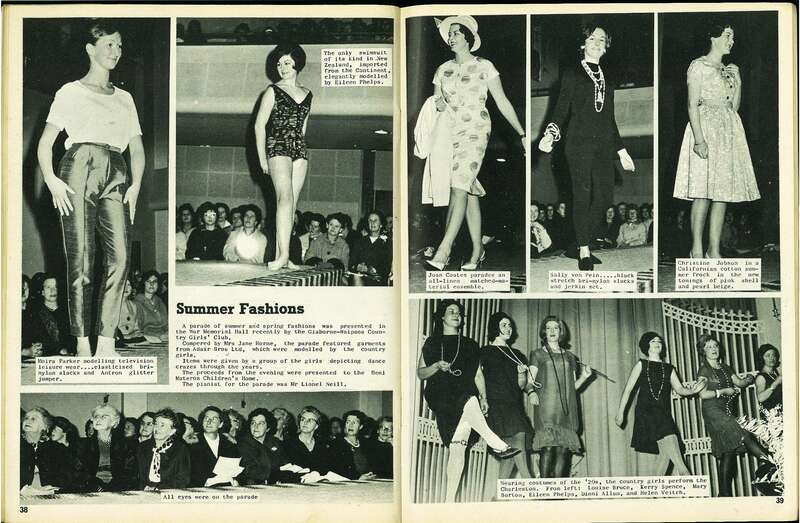 A parade of summer and spring fashions was presented in the War Memorial Hall recently by the Gisborne-Waipaoa Country Girls' Club. 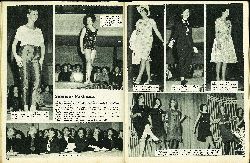 Compered by Mrs Jane Horne, the parade featured garments from Adair Bros Ltd, which were modelled by the country girls. Items were given by a group of the girls depicting dance crazes through the years. The proceeds from the evening were presented to the Heni Materoa Children's Home. The pianist for the parade was Mr Lionel Neill. 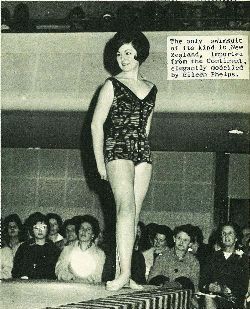 Moira Parker modelling television leisure wear....elasticised brinylon slacks and Antron glitter jumper. 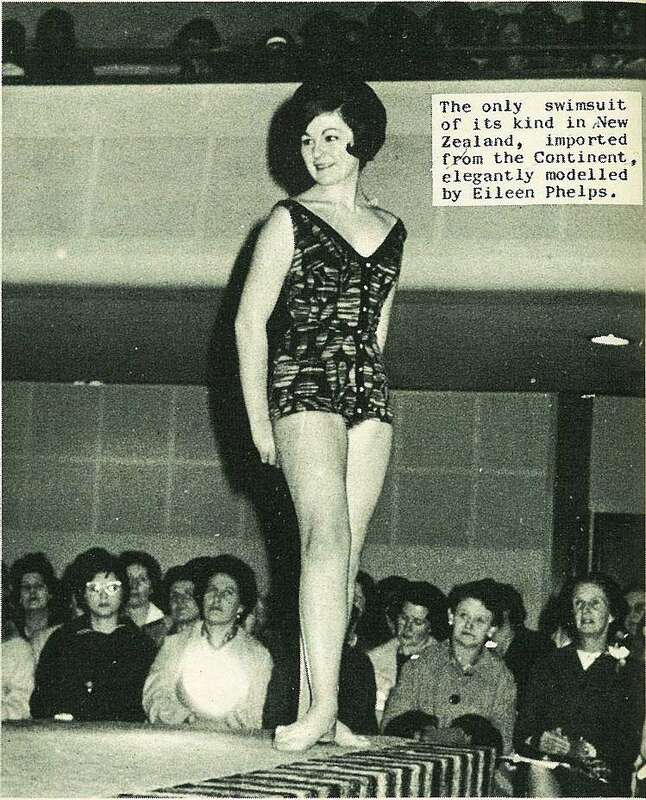 The only swimsuit of its kind in New Zealand, imported from the Continent, elegantly modelled by Eileen Phelps.